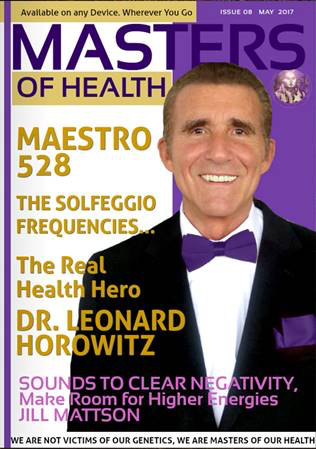 432 SCAM ALERT – A SOPHISTICATED COUNTER-INTELLIGENCE PROPAGANDA CAMPAIGN ADMINISTERED TO DISCREDIT THE 528Hz “MIRACLE FREQUENCY” OF THE ORIGINAL SOLFEGGIO MUSICAL SCALE, AND A=444Hz “STANDARD TUNING,” IS EXPOSED IN THIS ARTICLE BY THE PIONEER IN 528 SCIENCE. EWAO, the “Earth We Are One” so-called “science” website, claims to be a New Zealand group dedicated to “truth” in medicine. They advertise diamond rings for Amazon.com and “Arturia sound constellation” packages. They publish medical disclaimers urging you to see your doctor contrary to any advice provided. They draw heavily on this author’s works, misrepresenting much while omitting key facts and authoritative references. 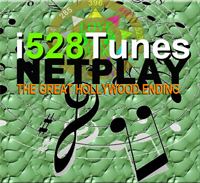 All to promote the A=432Hz musical movement spawned by a Pentagon affiliate, Jamie Buturff, to discredit the “528 LOVERevolution” overtaking the music industry, promising peace on earth, shattering the medical paradigm, and directly competing against damaging Big Pharma, Big Banking, and Big Energy’s virtual monopolies. Their anonymously written article misrepresents this author’s publications throughout. 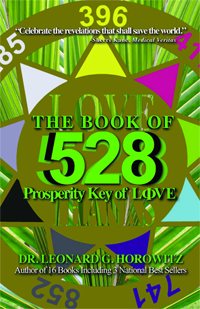 EWAO never mentions, and diverts from, this author’s definitive text in this field–The Book of 528: Prosperity Key of LOVE. Instead, these “432 advocates” weave truth with lies, and present confusing superficial commentary regarding the original Solfeggio musical scale. Their propaganda implies that instrument tuning in A=432Hz competes with the “bastardization of music” to which A=444Hz is falsely claimed to contribute. Sufficiently confused by this “bastardization” of technical details and contradicting intelligence, readers (especially recording artists, engineers, and audiophiles) simply tune out or become misguided. This article is provided to correct and clarify these matters for discerning truth-seekers, especially those who are seriously interested in Solfeggio science, this author’s original discoveries, and why so much malicious mischief would be brought against “LOVE/528” by pharmaceutical prostitutes. Then if we apply this 16Hz differential to the entire scaled keyboard, then A(4) would be 428Hz, and NOT 432Hz! In fact, that 4Hz is a significant difference, because this difference means that it is questionable whether there would be any “phase locking” (or vibration “coherence”) occurring at all between nature’s most natural (cosmic) frequencies controlling the physical universe (including cymatics and sacred geometry), and the EWAO/Buturff claim of A=432Hz superiority. In other words, EWAO’s first allegation DOES NOT ADD UP, and appears to be fraudulent. Controverted by its own math, it is an unproven and unwarranted attack against A=444/C=528Hz. Numerous Internet authors have taken my works and “bastardized” them in most insidious and despicable attacks against the beauty and intelligence underlying A=444Hz/C=528Hz tuning. For example, if you click on http://www.wolfspiritradio.com/tune/welcome/musical-cult-control/a440-versus-a444-standard-tuning/ you can see one of several articles published by another anonymous source obviously paid to promote 432Hz tuning by plagiarizing an entire section of my text, The Book of 528: Prosperity Key of LOVE, and my Medical Veritas journal article, without citing that reference or even my name as the author. Instead, the banner caption shown here in this screenshot heralds “Retune the Planet” in large letters, “from 440 to 432” in small fonts. This is not only outrageously unprofessional; that is, not giving professional attribution where credit is due, but downright theft of intellectual property–a fraudulent actionable copyright infringement. 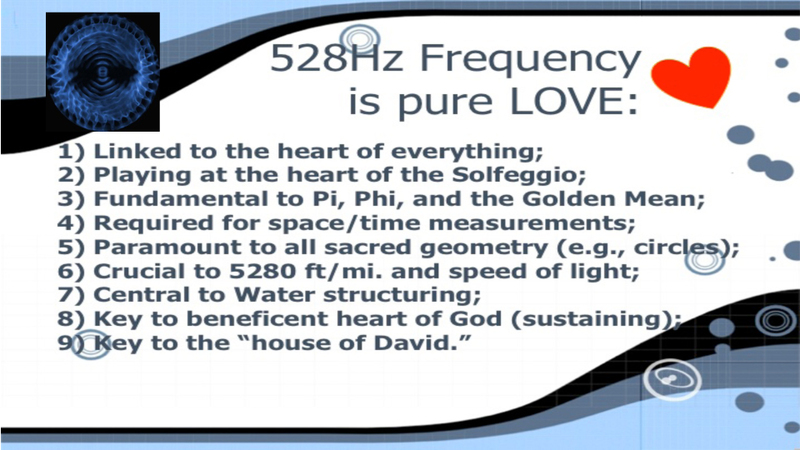 These thieves even copied my graphics and photographs for their express purpose to commercially compete against the “528LOVERevolution,” confuse and deceive people intentionally, and degrade 528Hz frequency and my contributions to this important field. But why? Who would actually spend the time and money (lots of money) to manufacture copyright infringements and host them on the Ingternet to “spin” readers’ awareness away from A=444Hz/C=528Hz, and the basis of “standard tuning” in musicology impacting the arts and sciences globally? 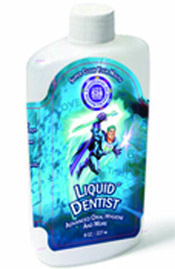 Who profits from this costly and damaging deception? 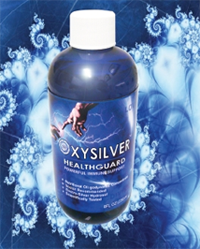 Asked another way, who pays for and profits from this protection and deception racket for the status quo multi-national corporations preferring diseases and armed conflicts over natural healing and world peace? Certifying the malicious intent underlying this globally-damaging propaganda campaign, technically called an “Information Operation,” is the adjacent slide leaked by NSA intelligence agent Edward Snowden and journalist Glenn Greenwald. This slide defines the intended results of “using online techniques to make something happen in the real or cyber world.” In this instance, to make 432Hz the preferred frequency of instrument tuning rather than A=444Hz. This is the purpose of the mass persuasion campaign. This slide is one of dozens of Internet “troll” training slides prepared for the Joint Threat Research Intelligence Group (JTRIG) that administers the bulk of “social engineering” for the US and UK governments. 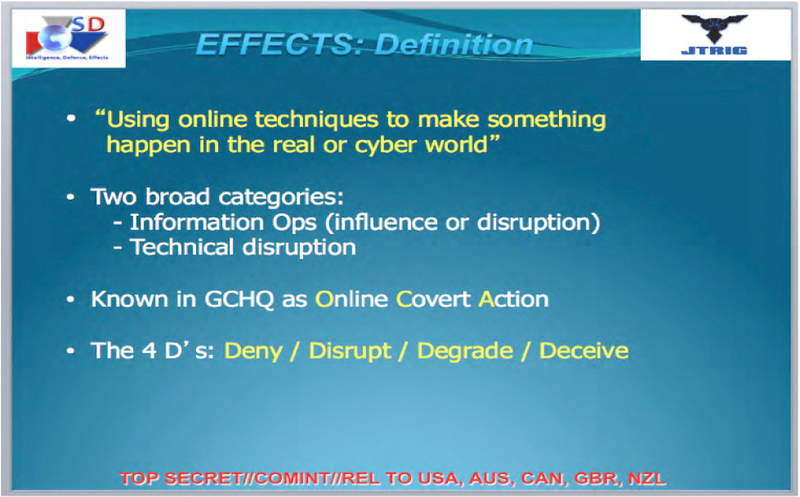 As you can see, their mission for this Government Communications Headquarters (GCHQ) “Online Covert Action” is to administer the “4 D’s”–“Deny / Disrupt / Degrade / Deceive.” And they view A=444Hz/528Hz as a “Threat” to be neutralized. 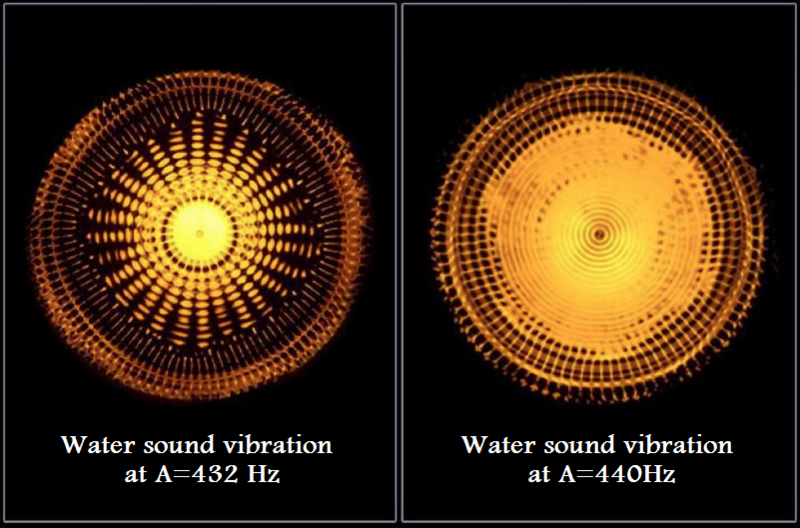 Consider the graphic below prepared by the propagandists showing a 28-pointed-circular pattern represented to be the “water sound vibration at A=432Hz”. This is used to not only discredit A=440Hz tuning (graphed in the right image that deserves discrediting) but also to divert from A=444Hz tuning that the propagandists purposely neglect and degrade. Compare the 28-pointed pattern (colored orange and formed from A=432Hz) to the 36-pointed-star photograph below (in blue). 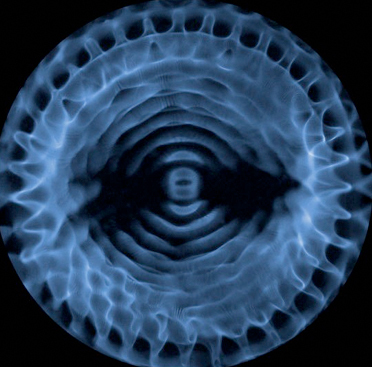 This C=528Hz image was filmed and contributed by world leading cymatics expert John Stuart Reed. It reflects the sacred geometry of the 528Hz pure tone (also played to water). The significance of the 28 projections in the circle is unknown. Speculating that this A=432Hz “cymagraph” might have something to do with a 28-day menstrual cycle in women, that was rumored to correspond with the lunar cycle, is discredited by published science. Alternatively, consider the 36-pointed star formed from C=528Hz pure tone (shown in blue below, right), and reflect on its unparalleled importance in the physical sciences, including space/time measurements in physics. Measuring distance and time would not be possible without the circle–the 36-pointed star–that reflects the 360 degree sacred geometry from which all sacred geometry and measurements derive. For example, there are precisely 5280 feet in a measured mile. 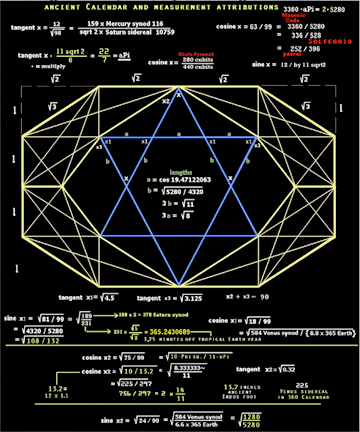 In essence, there is nothing known to be especially unique to the 28-pointed-pattern claimed associated with A=432Hz, contrary to the extraordinarily unique values ascribed to the 36-pointed-star formed by 528Hz. To back this claim the anonymous author(s) cite my review of the “1917 . . . American Federation of Musicians” acceptance of the standard of A=440 Hz, which was then accepted by the U.S. Government as standard in 1920.” There is no reference citation backing the Egyptian and Greek assertion; none other than my misrepresented article in Medical Veritas journal. “This new standard of A=440 Hz was not popular everywhere!” EWAO continued. “In October 1953, a referendum of 23,000 French musicians voted, and the results were overwhelmingly in favor of the standard of A=432 Hz.” Notice EWAO added this diversionary claim immediately following my well-referenced article, omitted the express source of their claim, and misrepresented it as sourcing from” the Congress of Italian musicians in 1881 a[s] recommended by the physicists Joseph Sauveur and Feliz Savart as well as by the Italian scientist Bartolomeo Grassi Landi.” A review of that linked source of alleged intelligence, however, shows no such mention of A=432Hz standard tuning. EWAO later claims, again with no reference to the source material, that “Austrian genius Rudolph Steiner (1861-1925)” stated: “Music based on C=128 Hz (C note in concert A = 432 Hz) will support humanity on its way towards spiritual freedom. The inner ear of the human being is built on C=128 Hz.” Foolishly assuming this was Steiner’s actual quote, intelligent readers must justify the leap from C=128Hz to A=432Hz. To do this, extrapolating the higher octaves of C=128, yields 256 and 512. This is consistent with EWAO’s un-referenced claim about Chladni’s supposed A=432Hz preference. But then this “fake news” is exposed by its nefarious agenda and more deception. 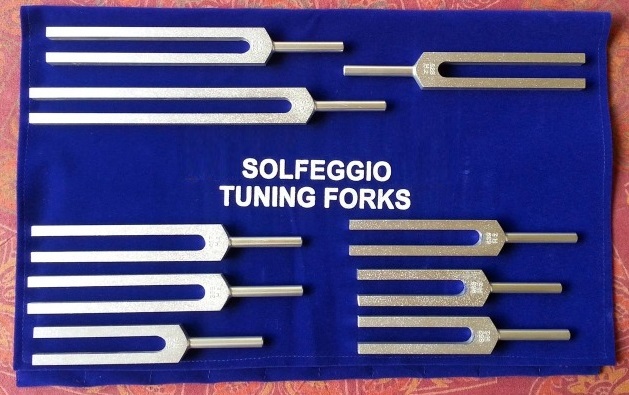 The authors associate a photograph of the “Solfeggio Tuning Forks” with their misrepresentation. They show this set of instruments manufactured directly as a result of this author’s 1998 publication of Healing Codes for the Biological Apocalypse. In fact, neither C=128 nor A=432 has anything to do with the nine Solfeggio forks that have been a popular seller on CureShoppe.com. This ploy was obviously intended to further confuse, deceive, and decoy A=432 as a fake Solfeggio tone and replacement for A=444Hz that is the proper “standard,” giving rise to C=528–the most popular Solfeggio healing tuning fork. Is EWAO really meaning A=440Hz or A=444Hz? No one can be sure given the clerical “error.” But what is certain, the A=4440Hz typo is maliciously intended to confuse and deceive readers in opposition to A=444/C=528Hz tuning. 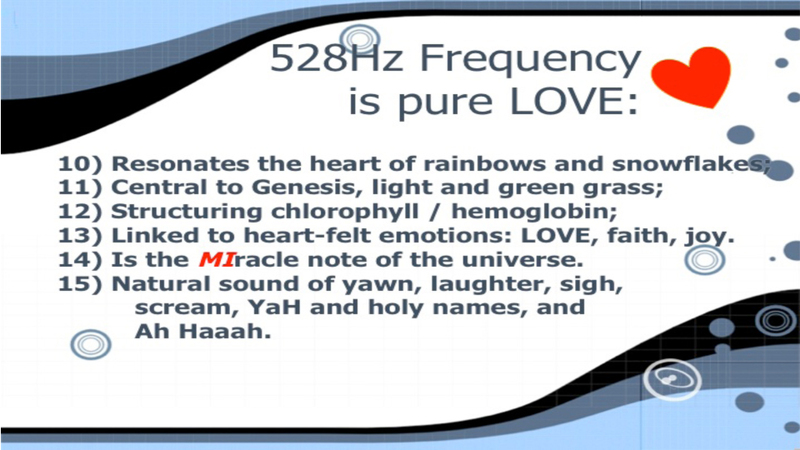 EWAO concludes by claiming, “that while A=440 Hz is often more exciting, or aggressive for some, it is disconnected from the human feeling centers, specifically that of the heart.” They purposely, however, neglect to mention that C=528Hz resonates at the heart of everything. In conclusion, EWAO’s article compounds massive evidence of a professionally-administered propaganda campaign (i.e., an Internet intelligence operation) used to promote 432Hz to simply obscure or divert from evidence supporting A=444Hz/C=528Hz medicinal music making. For all we know A=432Hz tuning may hold a valuable place in musicology, even perhaps “acoustic therapy,” but certainly not at the expense of A=444Hz/C=528Hz tuning. Agents who profess anything else, especially those employing such unethical and deceptive diversions from the values of A=444Hz/C=528Hz standard tuning, are unreliable, misguided, and mis-directing at best, and damaging to public health and safety at worst. Other than exposing these liars for their fraud on the Internet, these counter-intelligence agents are unworthy of your attention.